What you call something becomes an intellectual shorthand. Positive or negative connotations become baked in. Hence the Colorado Democratic Party’s criticism of Democrats for Education Reform (DFER). After impassioned debate, delegates demanded DFER remove “Democrat” from their name. It just makes sense. DFER is a group of hedge fund managers pushing for school privatization – a policy the Colorado Democrats vocally oppose. DFER definitely is a misnomer. However, which is more inaccurate – the term “Democrat” or the word “Reform”? Members of the nefarious school privatization propaganda squad are, in fact, Democrats. They have registered as voting members of that political party. However, they certainly aren’t progressives. They don’t adhere to the traditional views normally associated with the party. So the Colorado Dems motion is a positive move toward taking back what it means to be a Democrat. And in that spirit, it should be celebrated and emulated by every state and national party association. The Democrats have always been a big tent party with lots of different ideas being accepted under that umbrella. But putting corporate profits over student needs does not belong there. My point is that the larger verbal slight of hand isn’t with the organization’s party affiliation. It’s with the term “Reform,” itself. My question is this – is what they’re proposing really reform at all? And if so, what kind of reform is it? Who does it benefit? And what does it conceal? The word “Reform” has positive associations. It’s always seen as a good. We always want to be reforming something – turning it from bad to good. Or at very least improving it. And when it comes to education, this is even more urgent. No one really wants to be against education REFORM. The only reason to oppose it would be if you thought the way we teach was perfect. Then we would need no reform at all. But this is nearly impossible. Human society does not allow perfection because it is created by human beings, who are, in themselves, far from perfect. However, the term “Education Reform” does not mean just any kind of change to improve teaching. It has come to mean a very specific list of changes and policies. It has come to mean standardization, privatization and profitization. It means increasing the number, frequency and power of standardized assessments to drive curriculum and teaching – More high stakes tests, more teaching to the test, more evaluating teachers based on student test scores, more school closures based on low test scores. It means reducing democratic local control of schools, reducing transparency of how public tax dollars are spent while increasing control by appointed boards, and increasing the autonomy of such boards at the expense of accountability to the community actually paying for their work. It means transforming money that was put aside to educate children into potential profit for those in control. It means the freedom to reduce student services to save money that can then be pocketed by private individuals running the school. If the goal of education is to teach students, “Education Reform” is not about reforming practices for their benefit. It is not, then, reform. If the goal is to increase profits for private businesses and corporations, then it truly is reform. It will increase their market share and throw off any extraneous concerns about kids and the efficacy of teaching. However, this is not the goal of education. Education is not for the benefit of business. It is not corporate welfare. Education is essentially about providing positive opportunities for students. It is about providing them with the best learning environment, about hiring the best teachers and empowering them with the skills, pay, protections and autonomy to do their jobs. It’s about providing adequate resources – books, computers, libraries, nurses, tutors, etc. – to learn. It’s about keeping kids safe and secure, well-nourished, and healthy. In short, it’s about everything bogus “Education Reform” either perverts or ignores. Calling the things advocated by groups like DFER “Education Reform” is pure propaganda. We must stop doing that. Even if we use the term to criticize the practice, we’re helping them do their work. Despite the name, the reality has nothing to do with providing alternatives to parents and students. It really means school privatization. It’s about tricking parents and students into allowing businesses to swipe the money put aside to educate children while reducing services. In short, it’s about increasing choices for charter and voucher school operators – not parents or students. So I propose we stop using these signifiers. Henceforth, “Education Reform” shall be Education Sabotage – because that’s really what it is. It is about deliberately obstructing goods and services that otherwise would help kids learn and repurposing them for corporate benefit. Likewise, I propose we stop using the term “School choice.” Instead, call it what it is – School Privatization. Anyone who uses the older terms is either misguided or an enemy of authentic education. They’re only words, after all. What does it matter? We cannot effectively fight the forces of segregation, standardization and privatization if we have to constantly define our terms. We have to take back the meaning of our language, first. We have to stifle the unconscious propaganda that happens every time someone innocently uses these terms in ways that smuggle in positive connotations to corporatist ends. To take back our schools, we must first take back our language. To stop the sabotage, we must first stop repeating their lies. Bernie Sanders doesn’t like charter schools enough. To me that’s an endorsement. But to Shavar Jeffries, it’s a condemnation. Jeffries took to the pages of the New York Daily News to decry Sanders position and champion Hillary Clinton’s. Jeffries is the executive director of Democrats for Education Reform (DFER), a hedge fund front promoting the privatization of public education. Despite its name, the group doesn’t represent the views of most Democrats. It represents the neoliberal branch of the party that has heavily influenced the education policy of Barack Obama, Arne Duncan, Cory Booker, Bill Gates and other prominent so-called liberals. I’m not in favor of privately run charter schools. If we are going to have a strong democracy and be competitive globally, we need the best educated people in the world. I believe in public education; I went to public schools my whole life, so I think rather than give tax breaks to billionaires, I think we invest in teachers and we invest in public education. I really do. More to Jeffries’ taste is Hillary Clinton who he says backed off on her own charter school criticism. Back in November, Clinton correctly condemned most charter schools for not enrolling the most challenging students. Most charter schools — I don’t want to say every one — but most charter schools, they don’t take the hardest-to-teach kids, or, if they do, they don’t keep them. And so the public schools are often in a no-win situation, because they do, thankfully, take everybody, and then they don’t get the resources or the help and support that they need to be able to take care of every child’s education. Anne O-Leary, a Clinton aide, eventually clarified these comments saying Clinton supports those charters that are both equitable and accountable. Neither candidate for the Democratic nomination for President has given an in-depth policy speech on K-12 education. These statements on charter schools are some of the most substantial made by either candidate on the issue. Clinton has been lambasted in the media for her comments. 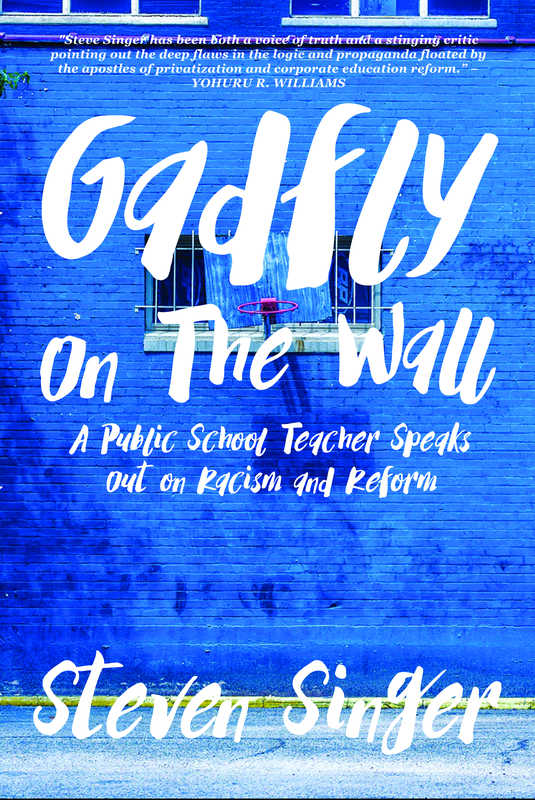 Many publications – leaning both left and right – complained that she was caving in to powerful teachers unions like the National Education Association (NEA) and the American Federation of Teachers (AFT) both of which endorsed her in the primaries. On the other hand, Clinton also has been criticized for not going far enough against the school privatization industry. Some observers highlight her continuing ties to Wall Street and many of the same neoliberal figures responsible for our disastrous corporate education reform policies. By contrast, Bernie’s comments have been met with mostly praise from his base and shrugs from his opponents. Both candidates views on the subject have evolved over the years. Sanders has gone from being pro- to anti-charter. Clinton has gone from being pro-charter to pro-charter with some provisos. Back in 1998, Congressman Sanders voted in favor of the Charter School Expansion Act. Now he’s against the industry. Meanwhile, Clinton has long been a champion of charter schools. Her criticism of some of these schools is a new wrinkle. It’s nice to see the issue getting some attention. Charter schools have increased exponentially across the country in the last two decades, but they have little transparency or accountability. As a result, monetary scandals have exploded like wildfire from state-to-state. Millions of public dollars have disappeared into private corporations’ bank accounts leaving little to show for it. Nationally, research shows that charter schools do no better at educating children than public schools. In fact, in many cases they do a much worse job. And when it comes to cyber charter schools, the situation is even more unevenly stacked in traditional public school’s favor. Scandals also are surfacing about how charters treat their students. Stories of harsh discipline policies and violating students rights are emerging everyday. Moreover, there are countless accusations that – as Clinton points out – many charters select only the easiest students to educate and sometimes expel struggling students before state-mandated standardized tests. Finally, charters increase the cost of educating children in a particular district by adding another parallel school system. However, these extra costs are taken out of the traditional public school’s budget thereby further destabilizing it and forcing less services and higher class sizes for students who don’t enroll in new charters. I’m glad both Democratic candidates are critical of this status quo. However, Jeffries denunciation of Sanders and defense of Clinton may backfire. If an odious organization like DFER is in favor of Clinton, shouldn’t the rest of us back Sanders?